FOAAT, or to give it its full title, the Foreign Office Administration of African Territories, was a curious organization, created because the Foreign Ministers of the victorious powers at the end of the second world war were unable to agree over the future of the ex-Italian colonies in Africa. 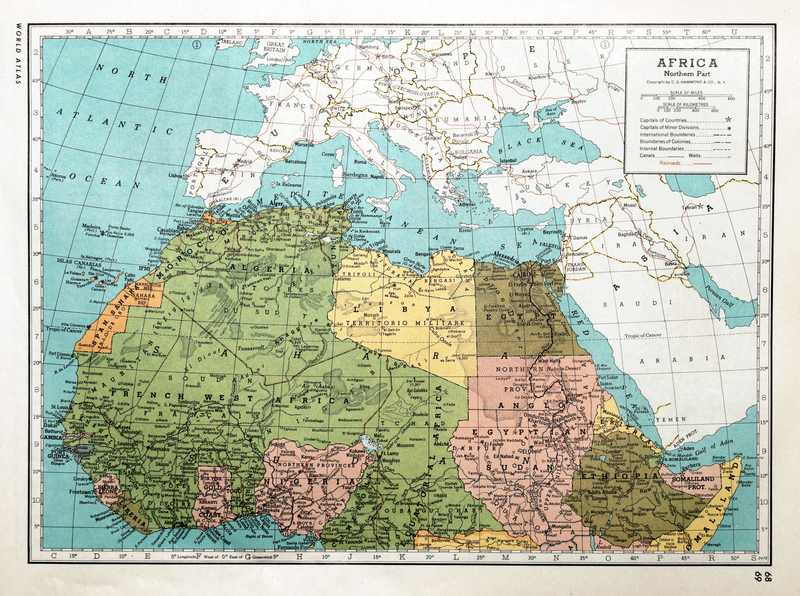 In London it was confidently believed that Bevin's plan to create a Greater Somalia was logical and fair to all; that Eritrea could be persuaded to accept the suzerainty of Ethiopia; and that the two Mediterranean territories of Cyrenaica and Tripolitania would be happy to be united under a single democratic government. Looking back, we might have expected that at least some of the diplomats involved would have remembered from their schooldays Pliny's dictum that from Africa there were always surprises - and this was the case. The negotiations broke down on almost every issue and our plans for a Greater Somalia were opposed by both the Americans and the Soviets. Although this was almost the only occasion they were able to agree on anything, their reasons for opposition to the British proposals were, of course, very different. The consequence of the ensuing delay was that interim arrangements were needed to maintain functioning systems of government in the four territories in place of the Military Administrations still being indirectly controlled and supplied by the War Office. Thus it was that on January 1st 1948 responsibility was transferred to the Foreign Office and FOAAT was born. Major General (Sir Richard) Lewis, at the time Deputy Director of UNRRA, accepted the task of managing this new organisation but the real work - the supply of men and materials - continued to be done by the Crown Agents. In the two years which followed the military personnel were replaced - but not entirely - by civilians. The majority of the new recruits were on short term contracts but some came after being offered appointments in the Colonial Service on the understanding that they were being seconded to FOAAT until its demise. 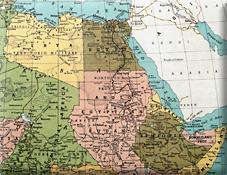 Four years later there was no need for this new creation to continue: in 1950 the Italians had taken over in Somalia, and in 1952 Eritrea was pushed into a federation with Ethiopia. In North Africa Emir Idris in Cyrenaica, after much demurring, accepted the title of King of Libya and in 1951 the two British administrations were united to form, with Fezzan (which had been under French administration), the first state to be created by the United Nations. Was everyone happy? Of course it was impossible to please everyone affected by these developments. 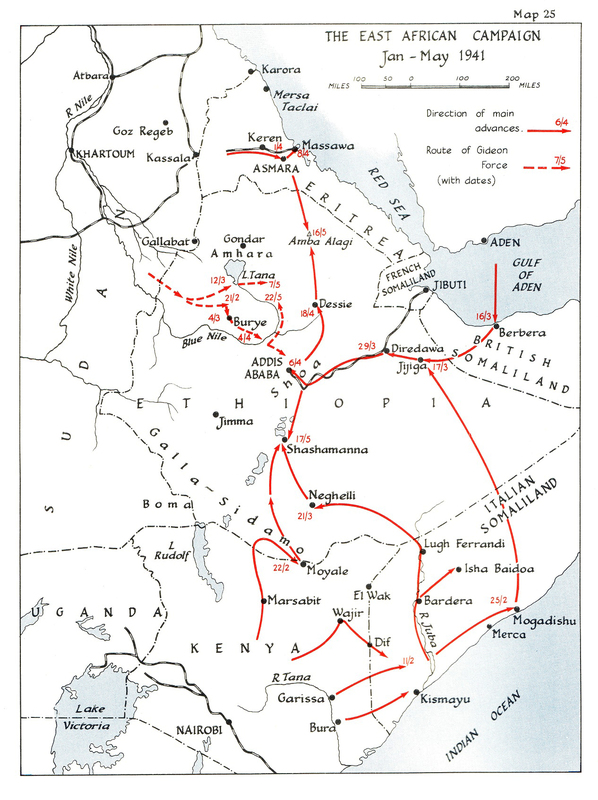 Ninety percent of the inhabitants of the Ogaden objected to the restoration of Ethiopian rule but were partly mollified by the decision to place the Hand grazing area in Somalia; the Eritreans were divided by the compromise imposed on them which created a loose federation with Ethiopia. The pessimists, who prophesied that armed resistance to these decisions was inevitable, unfortunately were proved to be right.